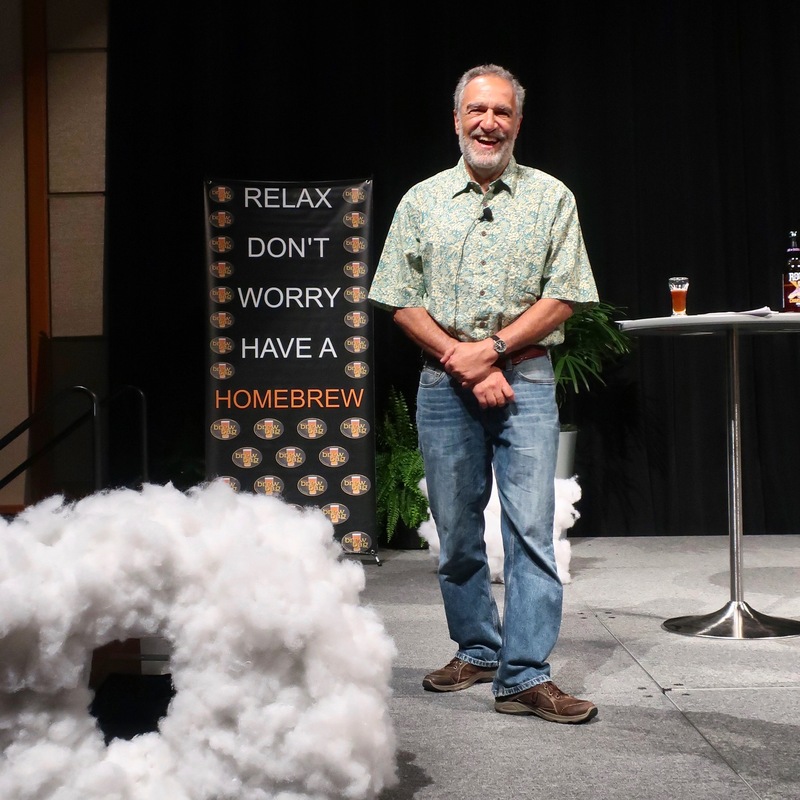 Charlie Papazian gave the Keynote Address at Homebrew Con 2018 at the Oregon Convention Center. 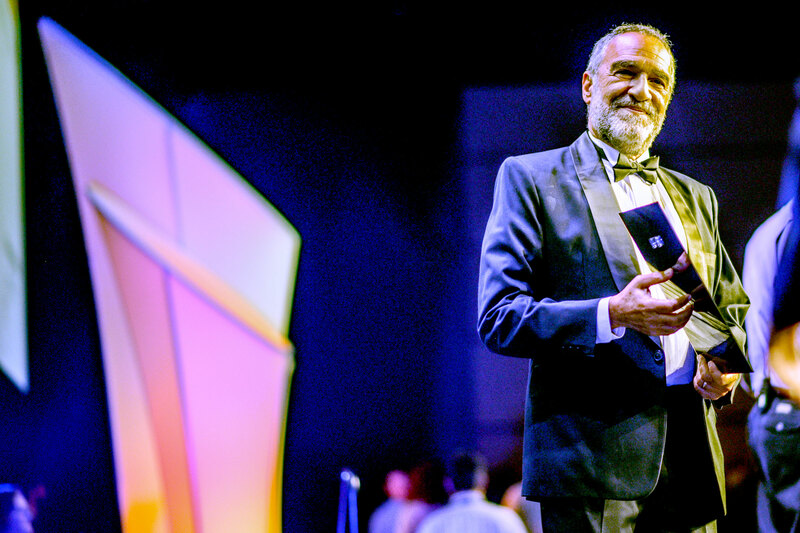 It’s fitting that after spending 40 years in the brewing industry, this evening Charlie Papazian will give the Keynote Address and Welcome Toast at the 40th annual National Homebrewers Conference, aka Homebrew Con. Charlie was one of the early pioneers of today’s craft beer movement. It was Charlie along with the likes of beer writers such as Portland’s Fred Eckhardt and England’s Michael Jackson that began talking about bringing beer back to a more local focus as it once was prior to prohibition. His memory of his first beer brings him back to his first taste of beer when he was about 5 years old while living in Cranford, New Jersey. He then spent the following thirteen years doing normal boyhood activities and that sip of beer fell to the back burner. In 1967 he graduated from Watchung Hills Regional High School. Since he never did very well in English class he veered toward the sciences and enrolled at the University of Virginia to study nuclear engineering. During this time he would pick up six-pack of beer but never seemed to recapture that boyhood moment with his “uncle” Paul. This persisted until a new friend, George, entered his life and told him about brewing beer at home. George had a neighbor that brewed beer at home. The group somehow managed to put together a homebrew that inspired Charlie to become more engaged in this aspect of science. After graduating from the University of Virginia in 1972 with a B.S. in Nuclear Engineering, he made his way to Boulder, Colorado. Not finding a career in his field of study he became a teacher and more importantly a more consistent homebrewer. Fast-forward a few years to 1978 when Charlie founded the American Homebrewers Association. Then following year founded the Association of Brewers where he was the President of that group that until it merged with the Brewers Association in 2005. He then continued on as President in this combined group until 2016. Today, many people know Charlie as the guy that hands out the medals each year in Denver at the Great American Beer Festival and the awards every even year at the World Beer Cup. He has become famous for his fist bumps to each brewer that crosses the stage as they receive their industry honors. This year also marks the final year that Charlie is an employee of the BA. He is set to retire January 2019 when he turns 70 years old. 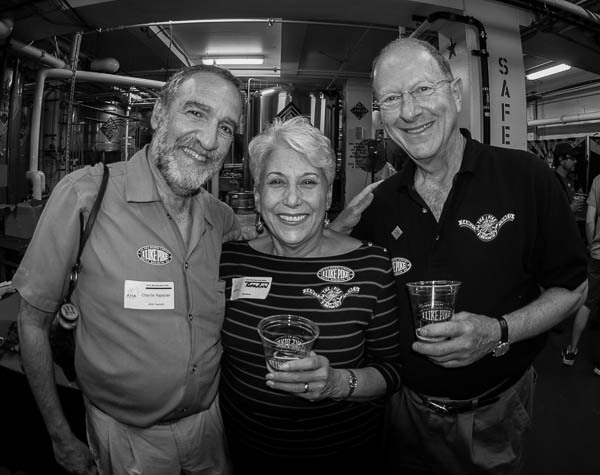 Here’s our interview with the beer icon, Charlie Papazian. 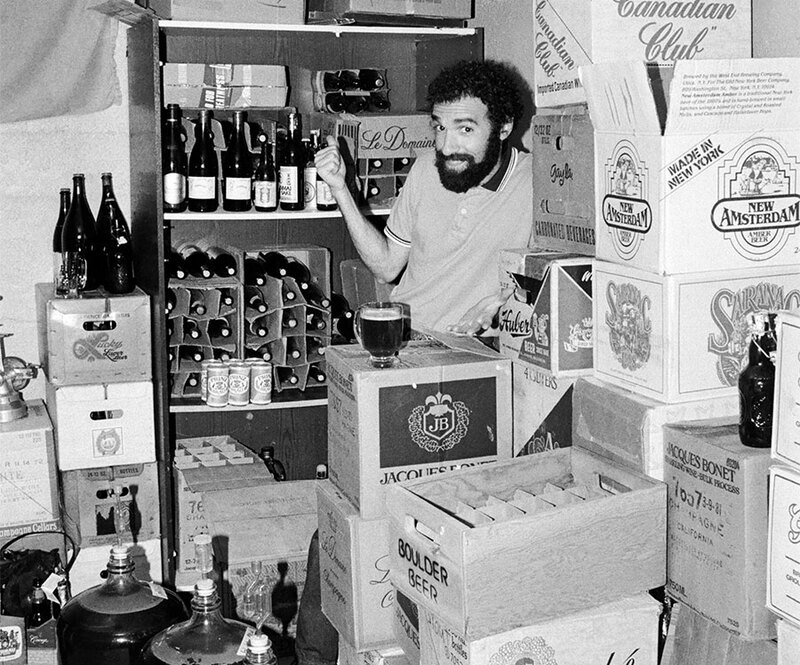 In 1984 you published your first book, The Complete Joy of Homebrewing after a few updates from you original Joy of Homebrewing syllabus that was first released in 1976 when you taught homebrewing classes. Looking back now 34 years later, what sort of impact do you feel you made on future home brewers and professional brewers? Charlie: Essentially helping make beer and brewing information accessible to anyone/everyone. Instilling a sense of fun and enjoyment to homebrewing; non-threatening, easy, accessible. Presenting homebrewing foundational instructions that allows homebrewers to pursue their own passions: art, science, gadgetry, cuisine, formulation, celebrations, events, hops, malt, yeast, other ingredients local and otherwise, foraging, creativity, left brain/right brain. All in the spirit of collaboration and community building. How were you able to convince Michael Jackson to write the forward to The Complete Joy of Homebrewing? Charlie: We became very good friends after I first met him in 1981. He was the kind of guy who would encourage anyone to pursue their interests in beer and brewing. He believed that the American Homebrewers Association and I were on to something that was very meaningful and going to be very impactful. You’ll be the featured speaker at Homebrew Con 2018 that takes place from June 28-30, 2018 in Portland, Oregon. Can you give us a little bit of a preview on what you will talk about to the venue full of homebrewers? Charlie: Many stories. Recounting the origins of the American Homebrewers Association, Great American Beer Festival, My interest in brewing, remembering people and their influence, Competitions. All with the theme that homebrewers are the foundation of the world’s new emerging craft brewing and beer enjoyment. Though the years Portland has been a hot spot when it comes to brewing. Any Portland memories you’d like to share? Charlie: First Microbrewers Conference outside of Colorado was Portland. Heavy weight speakers like Madame Rose (Liefmans Brewery), Printz Luitpold of Bavaria, the Senior John Young from London’s Younger’s Brewery, of course Michael Jackson… and all of the pioneer Portland brewers. What are some of your favorite beer spots when visiting Portland? Charlie: Usually I go with the wind. Though I particularly admire Hair of the Dog and Alan Sprints for his business model and origins. Beyond beer you also established National Pie Day that coincides with your birthday every year on January 23rd. How did this annual celebration begin and what is your involvement in it today? Charlie: Not involved any more. It has become a huge event; industry driven. I enjoyed being involved when it was more grassroots driven. Blueberry Pie is one of my favs! 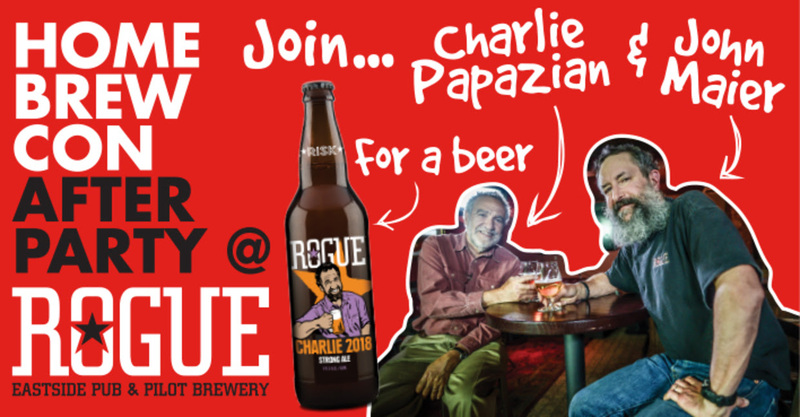 If you want to meet Charlie swing by Rogue Eastside Pub & Pilot Brewery on Saturday, June 30th from 5:00-8:00pm. Charlie will be here for the release of Charlie 2018, the commemorative beer brewed by longtime Rogue Ales Brewmaster John Maier. This event is open to the public and it’s free to enter. Charlie 2018 will be on tap and available in limited edition 22 once bottles.